This year, I made her about 2 dozen decorated cookies and regular chocolate cupcakes. 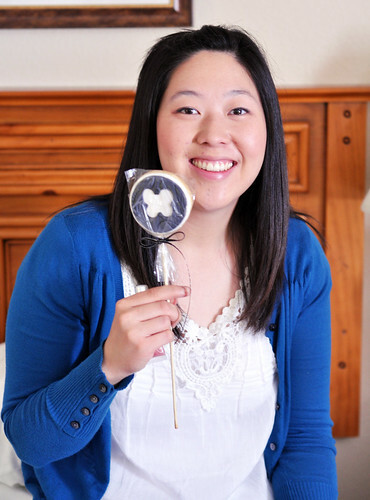 Jae LOVES butterflies so I decided to incorporate it into the cookies. Inspired by a cupcake I saw online the other day I decorated the cookies using fondant. 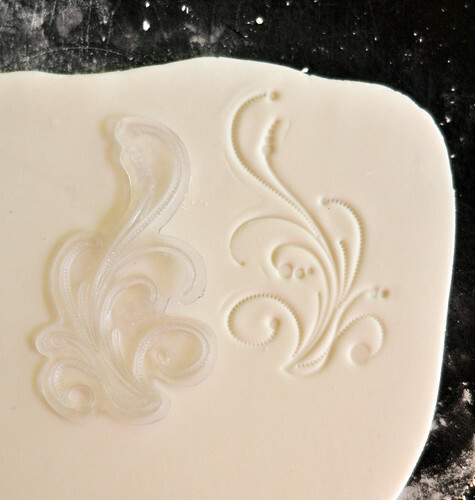 Fondant is a sugar dough which is most often used to cover wedding cakes to create a perfect canvas as a foundation for beautifully decorated cakes. 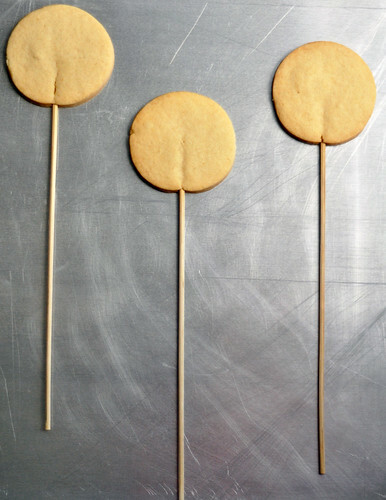 First I baked off sugar cookies with skewers. I soaked the skewers in hot water for about 20 minutes or so before inserting them into the cookies to bake. 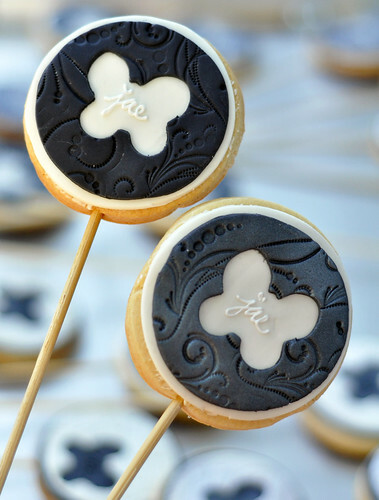 After baked and cooled, I colored the fondant black and cut out black circles (rolled out with a rolling pin and cornstarch) with the same round cutters used to cut the cookies. Take note that the cookie expands a little in the baking process. Depending on how often the dough is worked the cookie might expand a little or not at all. 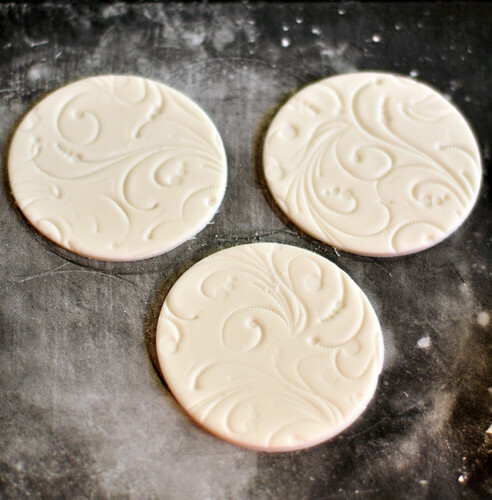 Chances are some of the circles of fondant won't always fit perfectly on the cookie. 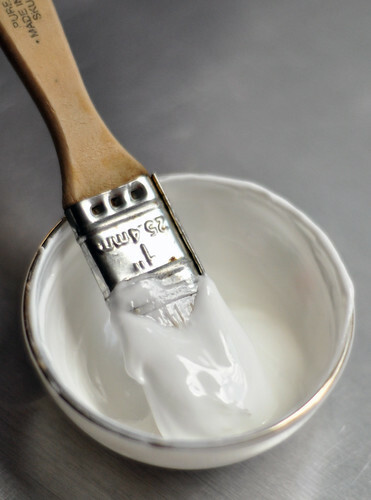 I dusted off the excess cornstarch. 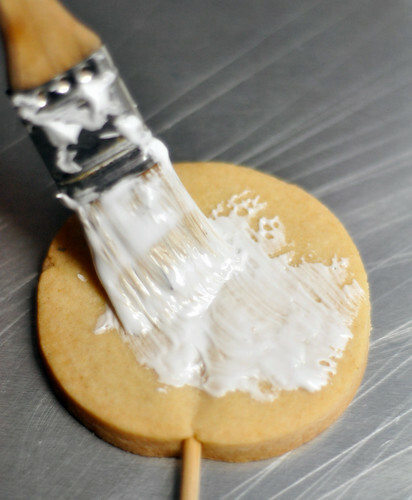 Then, I made some royal icing and got a brush (Home Depot has various sized paint brushes for as little as about $1) and dipped it in the icing. Then I brushed on the icing. I made sure not to go too close to the edge because if the fondant doesn't cover all of the cookie then you'll have a messy finished product. For the second layer I rolled out white fondant to create a stark contrast of colors. I had bought these clear stamps at a craft store with different floral and swirly designs. 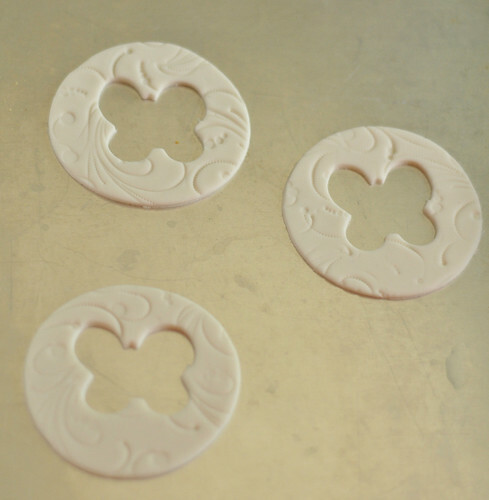 It's a quick and easy way to create some texture to the fondant without having to spend hours hunch backed trying to pipe a pretty design. 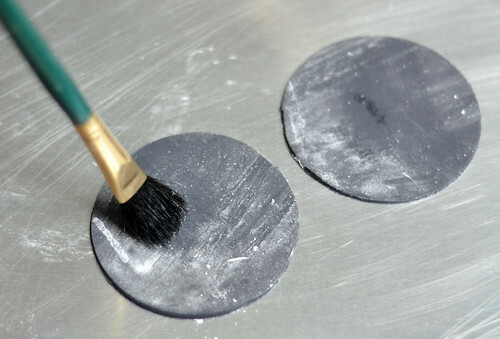 Make sure the stamp has some cornstarch on it so it doesn't stick into the fondant. 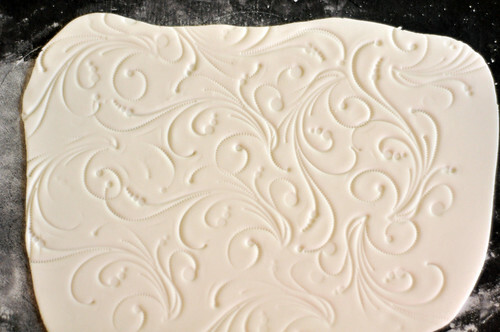 Repeat throughout the entire piece of fondant. Then I took a round cutter that was the next size down from the ones used for the cookie and cut out round pieces. I had mini butterfly cookie cutters so I cut the center out with that. I put this patterned circle on top of the black circle using a small amount of water to stick them together. 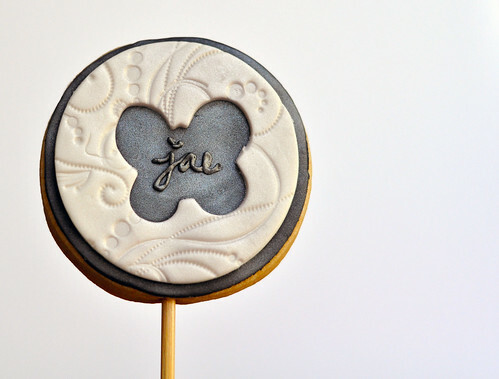 Then I took some of the royal icing and piped in the center of the butterfly my friend's name. After several hours of drying, I added a shimmery coat (more on this in another entry) to the cookies and viola.. beautiful cookies. I reversed the colors on half of them. 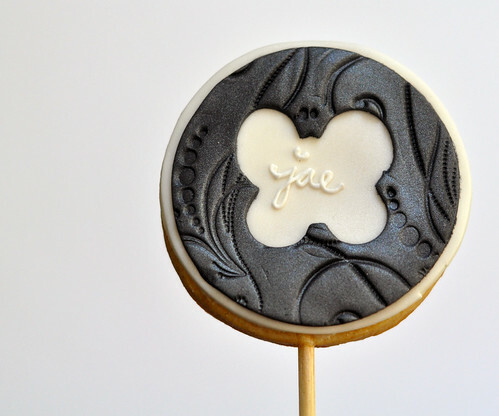 Happy 28th Birthday Jae! I love you!! 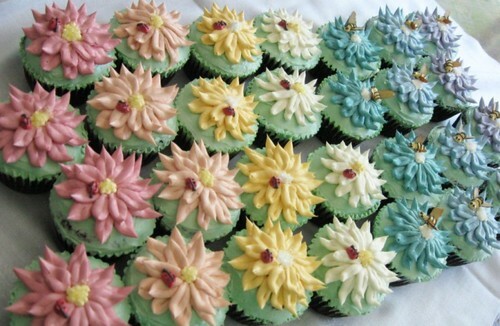 What pretty lollipops! Wow, I'd love to be so creative and talented! Thanks Rosa!! I appreciate it. That's amazing! Yet again, you inspire me :) Keep it up girl you have an amazing gift! Can I have a baking date with you? Thanks Billie! All I do is copy other people but thanks anyway! Of course Christina! Just tell me when. The death of a generation?